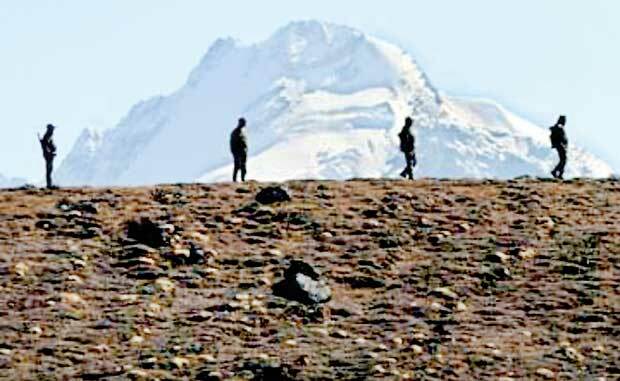 s Indo-China border stand-off in Sikkim sector is dragged on for another week it’s worth recalling perhaps the only connection Sri Lanka ever had with Sikkim, once an autonomous Buddhist land. It is this small beautiful land that gave birth to Pempa Tendupi Serky Cherin who was ordained in then Ceylon as Ven. Sikkim Mahinda or Ven. S. Mahinda and became a towering figure in the freedom struggle of his adopted land. When Ven. S. Mahinda Thera was living in Ceylon, Sikkim was ruled by a family friend. King Tashi Namgyal was so close to Ven. Mahinda’s family that a brother of this famous monk was appointed the Prime Minister to the king. The half- brother of Ven. Mahinda, Kazi Dawa Samdup was also a much sought after diplomat and interpreter from the Sikkim government. His services were sought during the government interactions with the British Royals or the latter’s interactions with the then Dalai Lama in Tibet. Samdup who later became a lecturer at Calcutta University was known for his groundbreaking translations of Tibetan Buddhist books into English thus making them available to the western audience. Despite these strong political connections, the flourishing Buddhism in the land saw another brother of Ven. Mahinda becoming a monk. It was this elder brother, Sikkim Punnaji who accompanied young Pempa Tendupi Serky Cherin to Ceylon for further studies in Buddhism. While Ven. Punnaji passed away a few years after his arrival in Ceylon, young Serky Cherin who was ordained as Sikkim Mahinda played a pioneering role in the independence movement here. By the time the Ven. Mahinda passed away in Sri Lanka in 1951 he had already seen the fruits of his mammoth efforts – Ceylon gaining independence from the British Raj. However the fate of his motherland, Sikkim, looked quite uncertain. Living next to ever powerful Communist China the vulnerable monarch of Sikkim was counting on Indian assistance for full sovereignty for his land from the British and insisted on preserving the monarchy system. Making things easy for the palace, in the run up to India’s independence the ever benevolent Jawaharlal Nehru got a resolution passed in the Indian Constituent Assembly declaring Sikkim and its neighbour, Bhutan as independent states outside the Indian union. However two parties the Sikkim State Congress (SSC) which worked closely with the India National Congress and Rajya Praja Sammelan, both comprised of Nepalese immigrants, worked against the monarch’s plan. They demanded Sikkim’s accession to India. The palace on the other hand mobilized the pro-monarch citizens, mostly comprising people from the aboriginal Lepcha tribe and Bhutia, a community with Tibetan ancestry, to form another political entity – Sikkim National Party. By the time the son of King Tashi Namgyal was crowned in 1965 the India backed SSC was gaining momentum. Under King Tashi’s son Thondup Namgyal Sikkim flourished. During his reign, the per capita income and the literacy rate of the country became twice as high as India’s, Nepal’s and Bhutan’s. Despite this achievement he could not hold on to power. The Indian army took control of Sikkim capital Gangtok and the royal palace in 1975. Indian troops poured into Sikkim and the referendum that followed abolished the monarchy and made Sikkim a state of India. Thus Sikkim became the 22nd State of India. Today with Bhutan too being a sovereign state Sikkim is precariously placed in the India-China-Bhutan tri junction border with 220 kilometres of its state land bordering China. Right now a war with a more prosperous and militarily strong China looks suicidal for India which is also already challenged by Pakistan in Kashmir. As a nation that owes a big debt of gratitude to Ven. S. Mahinda, we Sri Lankans only hope that peace prevails in Sikkim in the days and years to come.